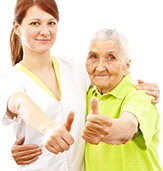 Phoenix based free resource to Top-Rated Senior Living! Assisted Living Centers, Parkinson’s and Memory Care. based on your specific needs, desires, budget and location. and avoid providers with a DHS* history of abuse, neglect or restraints. we will help you find the right Senior Living, the first time! Your local PHOENIX guides, serving families Valley Wide!